Summer is the perfect time for getting together with friends and family. 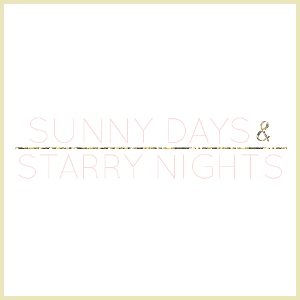 Whether you are inviting them over for brunch, lunch, dinner, snacks, etc. you need to keep the tablescape in mind. If you are providing delicious food, don't you want to present it in beautiful surroundings? 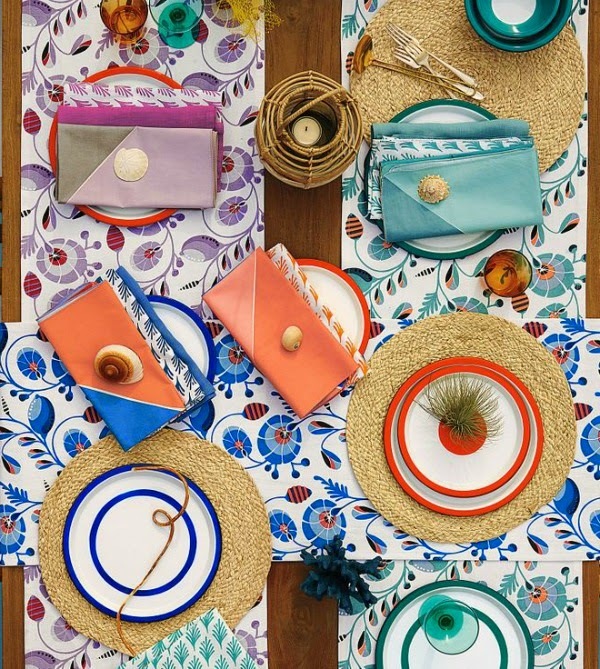 Summer is also the perfect time to make a table setting. 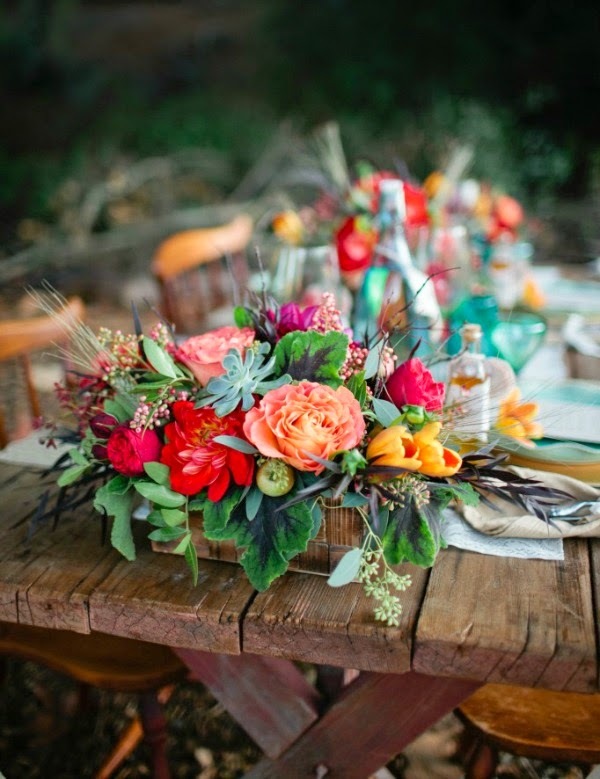 All the fresh flowers, fruit, and produce can help make excellent centerpieces for the table. When it comes to creating a table setting during the Summer I love to utilize certain things. While fresh fruit and produce are beautiful to display, I am a sucker for fresh flowers. They don't have to be bought, they can be beautiful wildflowers that you pick. 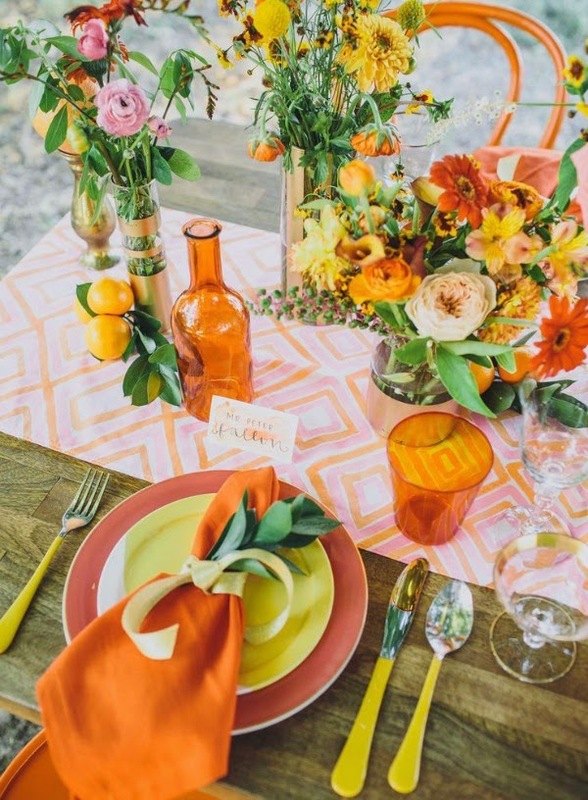 I am also all for bright, bold colors on a Summer table. Add texture and layers with fabric, table runners, and place mats. Remember to keep everything from being flat by adding height to some of your features. Maybe have a tall vase of flowers or some tall candles. You do not want everything at the same height. 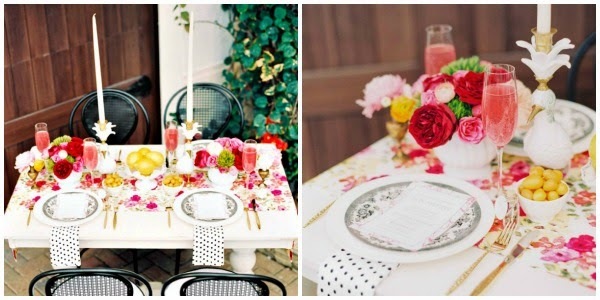 What are your opinions on a Summer tablescape? i'm not in a place where i can really entertain, but i used to a lot and would love to again. thanks for the inspiration!